Collected by Mickey McTague. Harry Fender interviewed by Ed Golterman on February 24, 1985. Collected by SLPL Special Collections. Ten interviews were conducted by Jennifer Toth in June and July of 1989. Collected by SLPL Special Collections. Ten Interviews were done by Mike Charls. Collected by SLPL Special Collections. Ten Interviews were done by Frank Absher from 1999-2012. 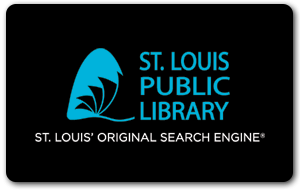 The oral histories project is made possible by a partnership between Special Collections at SLPL and the State Historical Society of Missouri at the University of Missouri St. Louis. Ten interviews were conducted in the summer of 1989. Correspondence and biographic information were collected from 1989-1990. In the late 1980s or the 1990s, Mickey McTague donated two audiocassettes that contain a Harry Fender conducted by Ed Golterman on February 24, 1985. Fifty-eight (58) oral histories [compact discs] were collected and added from 2001 to 2005. Roy Queen’s oral history (made by Frank Absher) was accession on April 5, 2000. Lou Times’ oral history (Frank Absher donation) was accessioned in 2010. Terry Houston’s oral history (Frank Absher donation) was added in 2012. Bud Connell’s oral history (Frank Absher donation) added in March 2013. The St. Louis Oral Histories Collection dates to 1989, when Jennifer Toth conducted ten local media person’s interviews in June and July of 1989. These ten have transcripts which are included in the collection. An accession of a Harry Fender interview conducted by Ed Golterman was donated between 1988 and 1999. An accession of 58 oral histories from 2001 to 2005 was interfiled into the collection sometime in the early 2000s. Accession four came in 2010, five in 2012, and six in December 2012. All were donations from Frank Absher. Conservation notes: All items placed into acid-free folders and boxes. Staples and metal paper clips removed and replaced with vinyl-coated paper clips. Scope and Content: The Media Archives oral history project started in 1989 with the aim to preserve the experiences of media persons with rich histories in St. Louis journalism, radio and television, public relations and advertising. The collection consists of transcript notes and consent forms as well as some correspondence and supplementary biographical information. Transcripts of ten oral histories are available for the following persons: Carl Baldwin, D. Goodrich Gamble, Bob Hille, James Lawrence, Raymond Noonan, Selwyn Pepper, Donald Thompson, Arthur Witman, William Woo, and Sue Ann Wood. The transcript (and accompanying recorded interview) for Raymond Noonan is restricted and cannot be used as source material for publication, however the correspondence and biographical information is available to researchers to use. Limited biographical information is available for the other media persons. Audio recordings are on cassette tape unless otherwise noted. Arrangement is alphabetical by interviewee’s last name; miscellaneous folders after interviewees folders in transcript box. Restrictions: Raymond Noonan interview restricted—not to be used as source material for publications. Permission required to reproduce images. Audio recordings (Subseries 2) are stored at Compton. MA 12:05 and MA 13:04 needs to be transcribed and provided to UMSL per the Media Archive Oral History Agreement between SLPL and UMSL. 1 letter Hollinger, 2 Shoe Box Hollingers; 1.2 cu. ft.